Children and adults alike will marvel at a Winter Wonderland train display by master model builder Charlie Klein. There will be a children’s holiday craft table, letters to Santa and almost certainly a reply from Santa too ... Live entertainment will be provided by local choral groups, individual performances by local musicians as well as professional musical entertainment throughout the day. 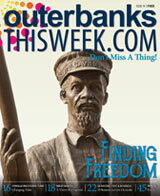 Refreshments will include a variety of hot soups, ham biscuits, holiday cookies and punch. There will be multi-themed, fully decorated holiday trees, and shoppers will continue to receive an additional five-percent off purchases when they bring a donation for the food bank. 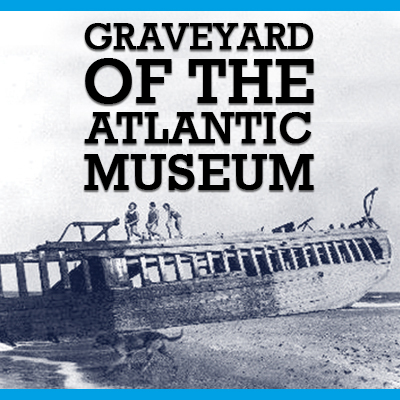 The event is free to the public and is sponsored by the Friends of the Graveyard of the Atlantic Museum.